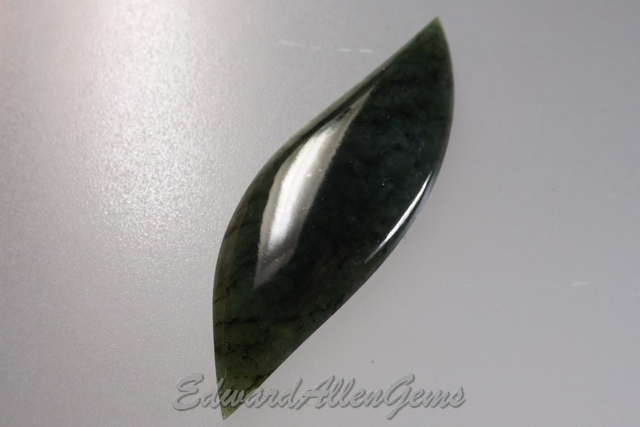 These are some of the Jade cabochons we have for sale. We charge one shipping cost for all that will safely fit in a Small Priority Flat Rate box and will ship to the U.S. as well as Internationally. First Class Shipping available upon request. 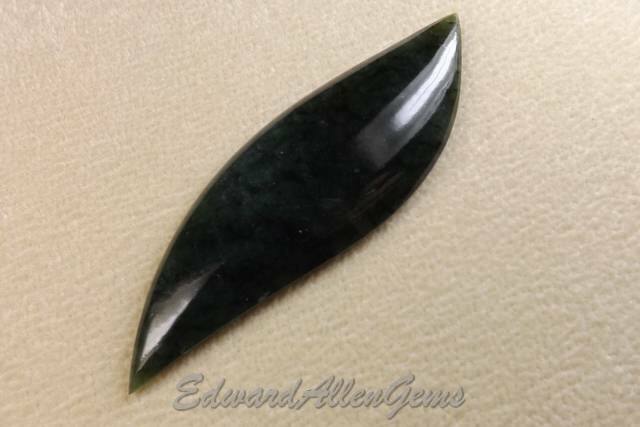 This is a beautiful custom-cut Guatemalan Jadeite cabochon. 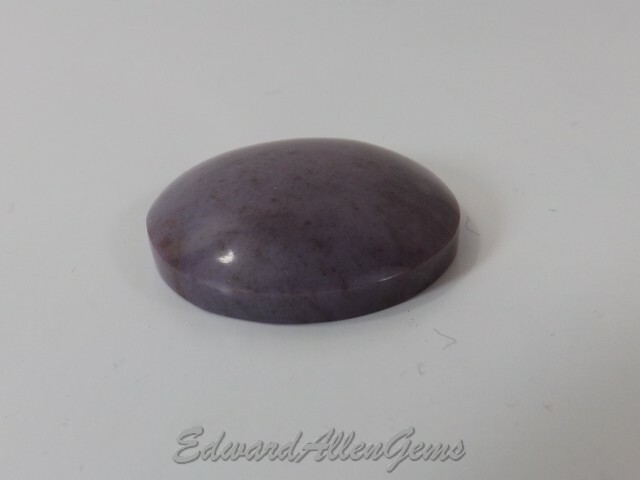 It is 64 x 19 mm at its widest points, and 5 mm thick. It weighs 36 carats. 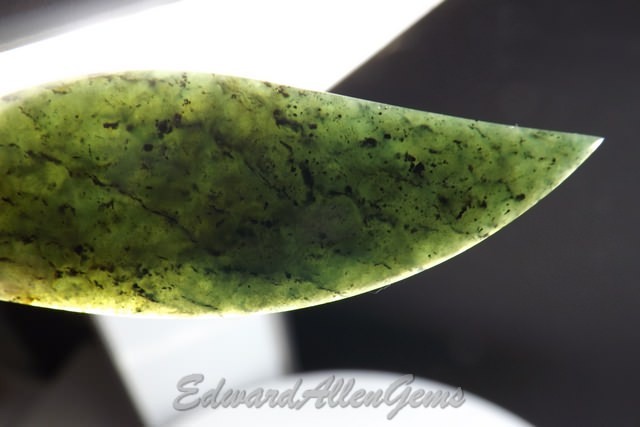 It looks very dark in natural lighting, but move it around with a light on it and you can notice some tiny shiny flecks in it - almost a chatoyance. 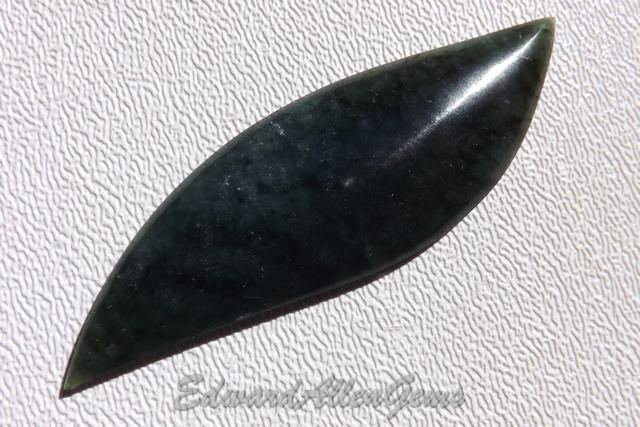 Not sure what they are, and was not able to capture them in any photo, but to me, they add to the beauty of the stone. You see a mottled pattern in it when viewed in the light as well. It has a nice translucence with light from behind. 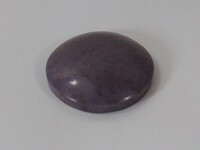 Pretty stone. First Class shipping available upon request. 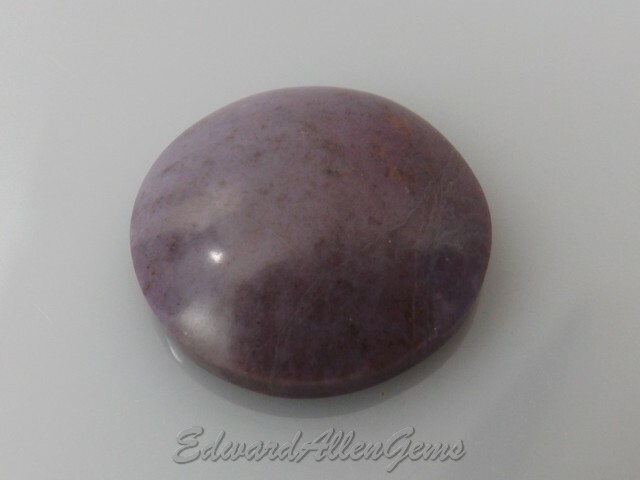 This is a loose, round, natural Turkish Purple Jade cabochon. 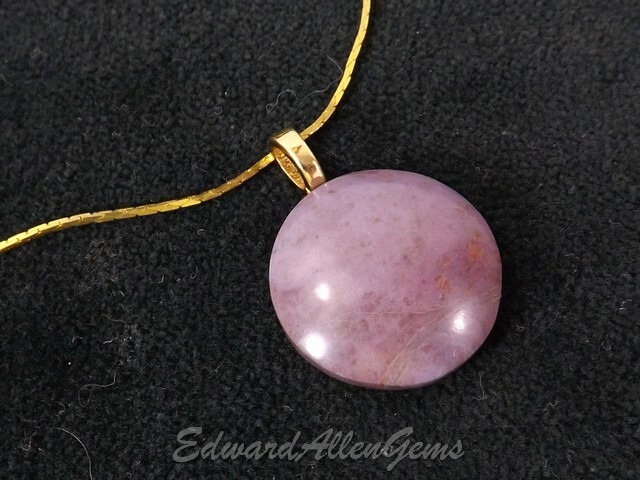 It measures approximately 24 mm in diameter x 6-7 mm thick and weighs 33.5 carats. There is a thin bezel on it, and the flat back has a light polish on it as well. 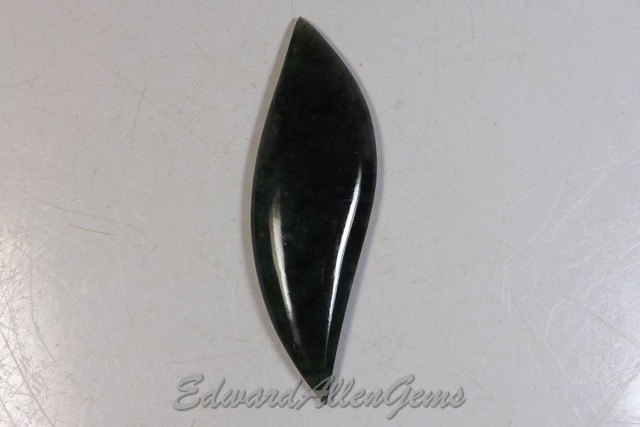 This rare material is actually 40% Jadeite, the rest a mix of other minerals. 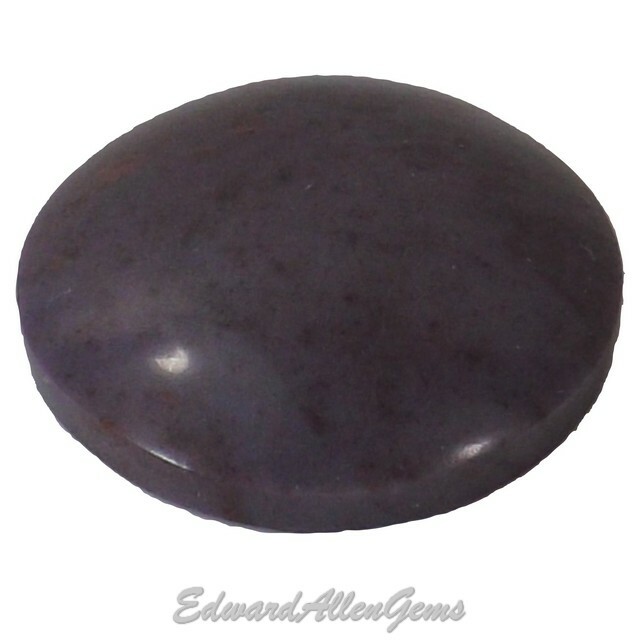 It is ready for a standard or custom setting, or simply add a flat-back bail, or set it in a wire-wrapping design. But you can even just display it as a collector piece. You can purchase through Amazon if preferred, or here. First Class shipping available upon request. 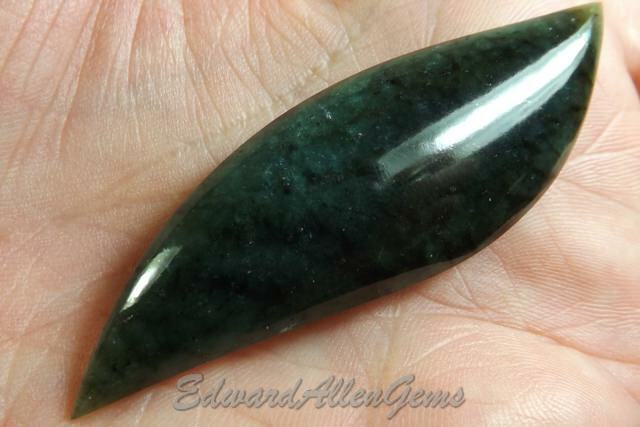 This is a loose, round, natural cabochon of light green Jadeite from Guatemala. 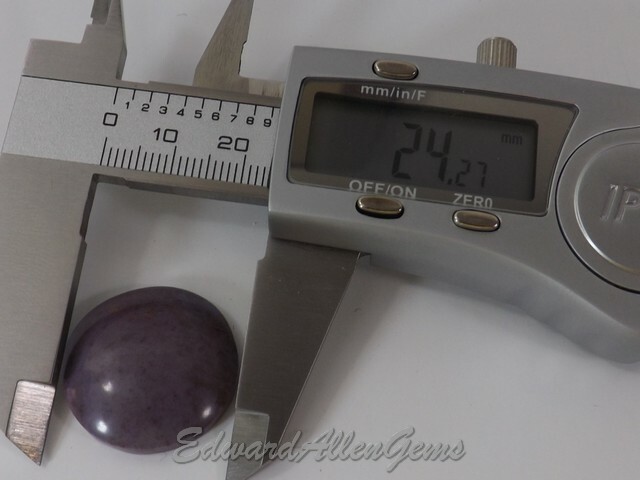 It is approximately 29 mm in diameter x 7 mm thick and weighs 56.9 carats. 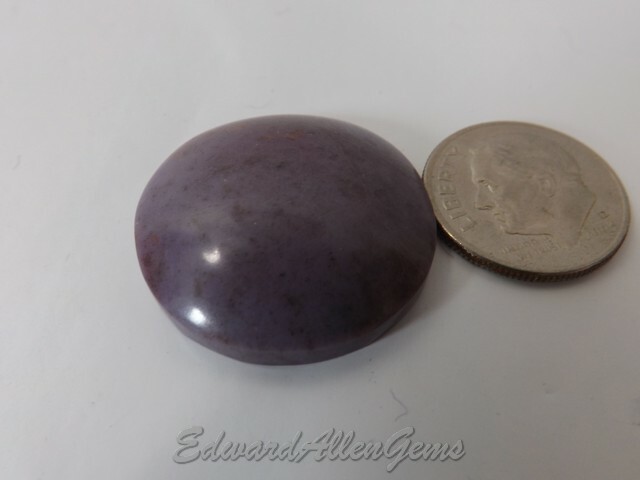 It has a thin bezel, and the flat back has a light polish on it as well. 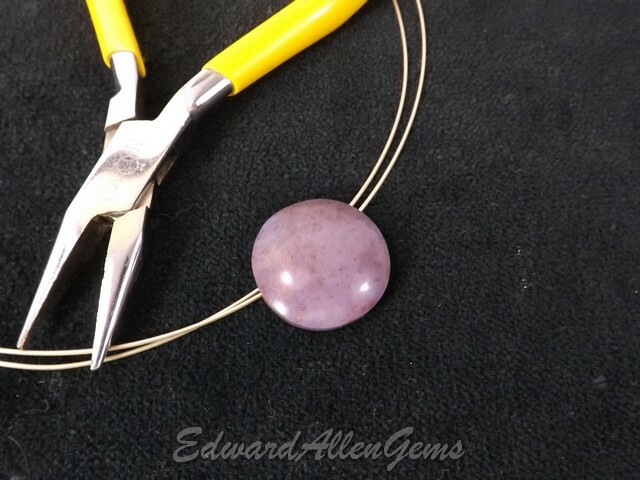 It is ready for a standard or custom setting, or simply add a flat-back bail, or set it in a wire-wrapping design. But you can even just display it as a collector piece. You can purchase through Amazon if preferred, or here. First Class shipping available upon request.